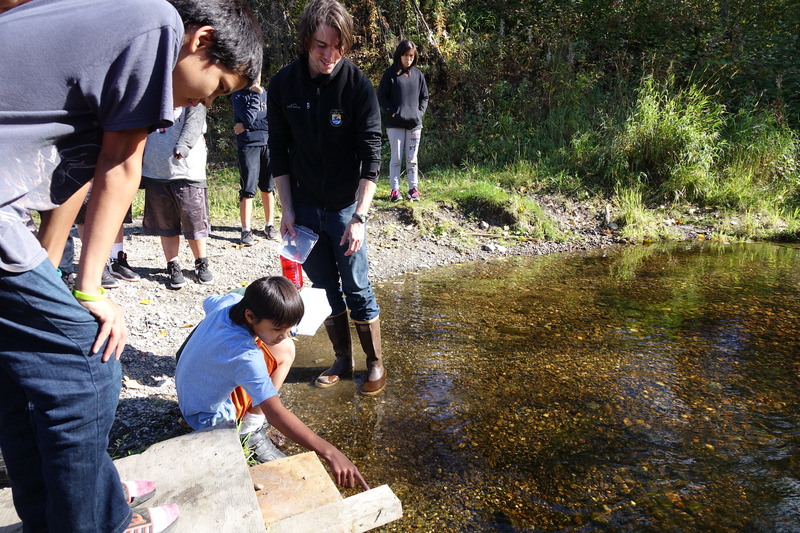 In 2016, Tebughna School students caught and released juvenile salmon to learn about salmon ecology. Through this program, TTCD addresses our strategic direction to provide conservation education and outreach. Since 2014, TTCD has coordinated regular visits to the Tebughna School throughout the school year to provide science education through hands-on activities on topics such as the salmon life cycle, watershed ecology, the plant life cycle and plant anatomy, and all aspects of gardening. TTCD also coordinates educational opportunities during the summer months to coincide with youth camps. TTCD strives to incorporate youth education into all conservation projects. Students have played an important role in the planning and implementation of the Tyonek Garden, and have also played a role in the development of the Tyonek Area Watershed Action Plan, voicing their opinions on their priority resources and conservation concerns. 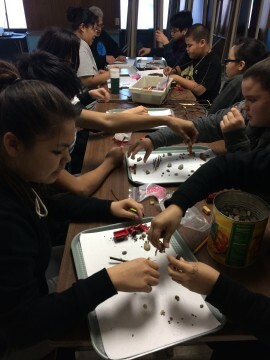 Tebughna School students learn about wildlife habitats and build habitat models in 2015. 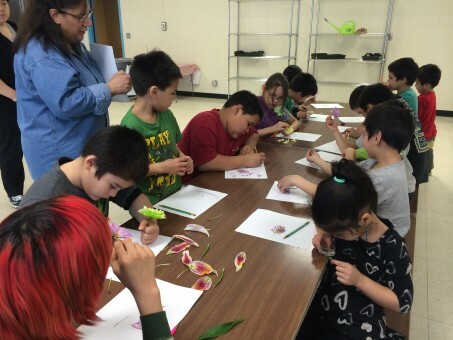 Tebughna School students dissect flowers and learn about the plant life cycle in 2015.